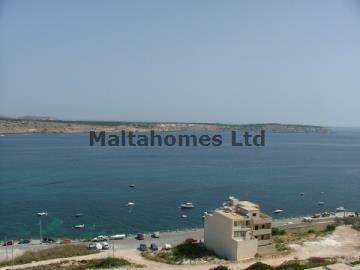 Situated directly on Mellieha Bay, boasting truly magnificent Bay views and out to Gozo. This new development is to be finished apart from kitchen, bathrooms and internal doors comprising of hall, kitchen/living/dining area with large balcony/terrace, 3 bedrooms of which one has en-suite, and main bathroom. All units are to be sold with a large one car garage, where upon you access your garage from a hydraulic lift. We feel for those that are looking for a sea front property this block will surely touch the spot.